Eden Place Nature Center hosts a number of annual outdoor community events where families and neighbors can learn and play together. We focus on creating opportunities for family fun in a safe, rejuvenating and joyful space. See below for descriptions and photos from past community events, and check back soon for details about the 2015 activity season! Are you looking for the ultimate summer field trip for your summer camp, school, youth group or home schooling group? Do you want your youth to have so much fun outdoors that they don't even realize they're learning, too? 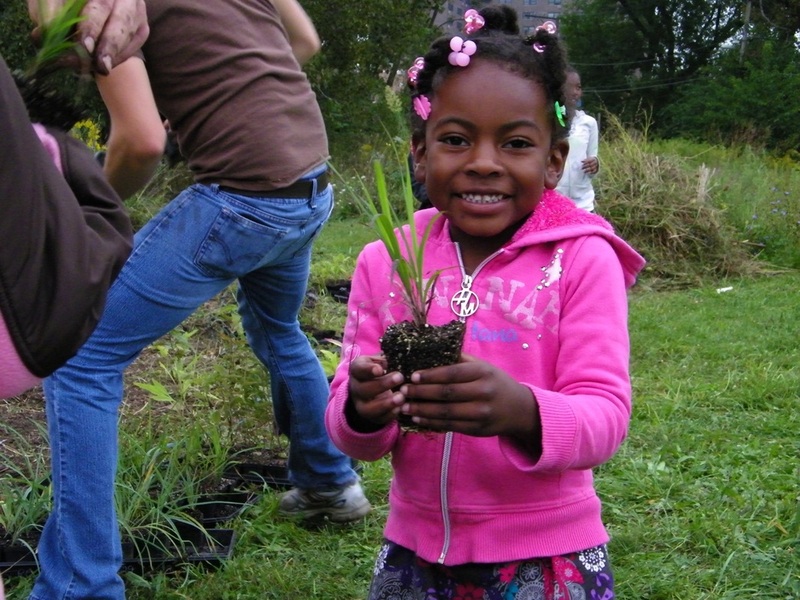 Look no further than the Eden Place Summer Fun Festival, Chicago's south side destination for nature-based play and learning. Featuring activity stations such as Arts & Crafts, Storytime, Plant a Butterfly Garden, Sprinkler Run, Monarch Migration Station, Dance Contest, Meet the Animals, Wild About Worms, Games on the Lawn, and more! Reservations accepted for groups of up to 100 children. Drop in Rate of $10 per person at the door, space permitting. Reservations are strongly encouraged. Even when nature is hibernating all around us, we can still find ways to gather and celebrate the outdoors. Polar Express at Eden Place offers a winter celebration with community flair. Past activities have included Chestnut Roasting, Visit with Santa, Wagon Rides, Christmas Carols, and more. Eden Place Nature Center is a subsidiary of Fuller Park Community Development Corporation.